He is one of the greatest sportsmen ever to emerge out of Croatia: a man who performed brilliantly on the world’s tennis courts over a long career, consistently battling among the Grand Slam contenders. 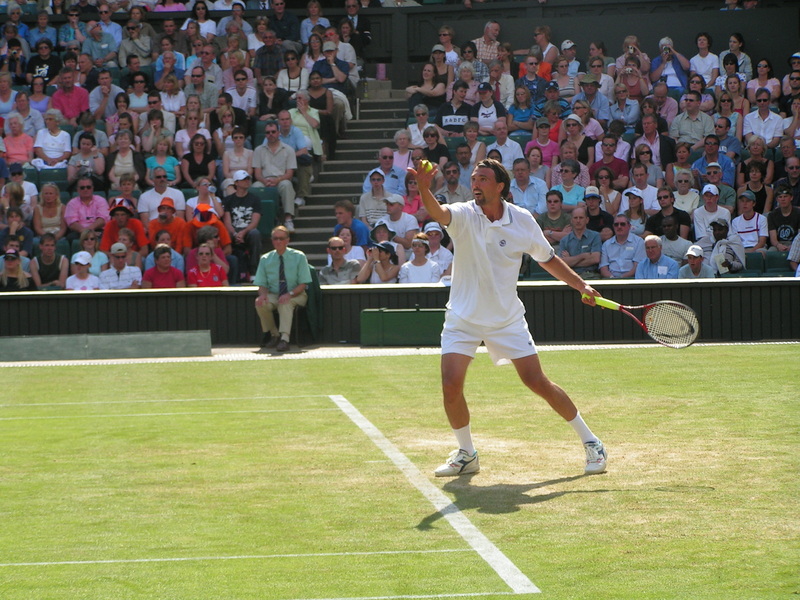 Goran Ivanisevic endured a number of ‘near misses’ before finally securing his first major success with the Wimbledon title in 2001. He remains connected with the sport while indulging his love of football but how did it all begin? Ivanisevic was born in Split, in the former Yugoslavia on 13 September 1971. As a child he played many sports but his potential as a great tennis player was obvious and he enjoyed a sparkling junior career around the globe. By 1988, aged 17, he was ranked as number 3 in the world at junior level although his first major success came in the doubles arena, where he took out a title in Frankfurt, alongside the German Rudiger Haas. By this time, the left hander’s game had already been established and his height and power enabled him to win most matches with his serve and volley routine. But he certainly wasn’t one-dimensional and could adapt to the conditions and on many surfaces. Although he hadn’t quite made a global name for himself at this stage, Goran Ivanisevic was rapidly becoming big news in his homeland and was very much a star. He held the flag during the opening ceremonies of the 1988 and 1992 Olympics as his native Yugoslavia was crumbling. 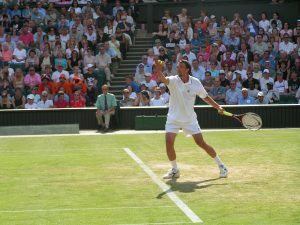 Ivanisevic was very much flying the flag for a new Croatia when he entered the Wimbledon tournament of 1992. Two quarter final appearances at the Australian Open of 1989 and the French Open of 1990 had established him as a genuine contender for a Grand Slam and he arrived at SW19 as the number eight seed. The Croatian enjoyed a relatively easy passage through the early rounds while all around him, the top seeds drifted away. Number One Seed Jim Courier fell in the third round as things began to open up in Goran’s section until he blew away Pete Sampras along with most tennis betting sites‘ expectations in the semi to face Andre Agassi. With Ivanisevic ranked eight and Agassi seeded 12, the big left hander was the favourite to take the win but after leading 1-0, an epic five set encounter was finally won by the American. It was one of the greatest Grand Slam finals of all time and while it was heart breaking for Goran, this was the tournament when he finally burst into the big time. Wins in tournaments around the world followed but Ivanisevic just couldn’t get over the line when it came to a major competition. In the 1990’s he reached two further Wimbledon finals in 1994 and 1998 but on both occasions he had the misfortune to run into Pete Sampras who dominated SW19 at that time. His record in other Grand Slams was equally frustrating with one semi final appearance at the US Open and six quarter final finishes that were shared between the French Open and the Australian Open. It was a respectable and healthy career but it looked as if it would be one that would never be truly fulfilled. At the start of 2001, a shoulder injury, loss of form and lack of match play had seen Goran Ivanisevic drop to number 125 in the World Rankings and as Wimbledon approached, he didn’t have the necessary credentials to become an automatic qualifier for the tournament. It was his favourite surface – grass – and it could well have been his final appearance there and as a three time finalist, the organisers were happy enough to grant him a wild card. What happened next has to go down as one of the most incredible moments in sporting history and certainly one of the greatest shocks. The draw was relatively kind to Goran but he came through some tough battles and with each passing round, there was a feeling that he may be set to cause an upset. Ultimately, it came down to a final against Australia’s Pat Rafter who was the number three seed but it was clear that Ivanisevic was playing some of the best tennis of his life and the match would surely be closer than the rankings may have indicated. At 29, and two months short of his 30th birthday, Ivanisevic took his injured body to the limit for one final time and produced an incredible final with the Australian. Eventually, with very little to split the players, he took the final set by nine games to seven to finally claim the Grand Slam title that had seemed to be his destiny. It was simply incredible: no player before or since has ever won Wimbledon as a wild card and it’s unlikely to ever happen again. 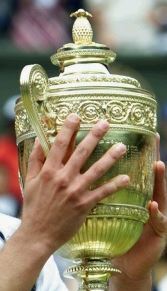 Not surprisingly, that triumph was the highlight of Goran Ivanisevic’s career and a year later in 2002. He temporarily retired following shoulder surgery. 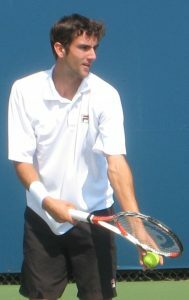 He returned briefly in 2003 but shortly after that he was to become a regular, only on the masters and exhibition tours. Away from the tennis courts, Goran Ivanisevic is a huge football fan and he likes to follow English side West Bromwich Albion whenever possible. He’s a competent player too who has featured in exhibition matches and is said to have once played for professional side Hadjuk Split. But, it’s inevitable that the Croatian is drawn back to the tennis courts and while playing as a senior on an occasional basis, he now combines his time with coaching Marin Cilic – a rising star who has already made an impact in the Grand Slam arena. It’s been an incredible career for Goran Ivanisevic but as we’ve seen from his coaching efforts, there are chapters that are still to be written.